The Specialized High School Admissions Test (SHSAT) for the incoming Class of 2023 took place on Oct 21st and Oct 22nd. Among the 30,000+ NYC eighth graders who took the exam this year were approximately 100 StuyPrep students. 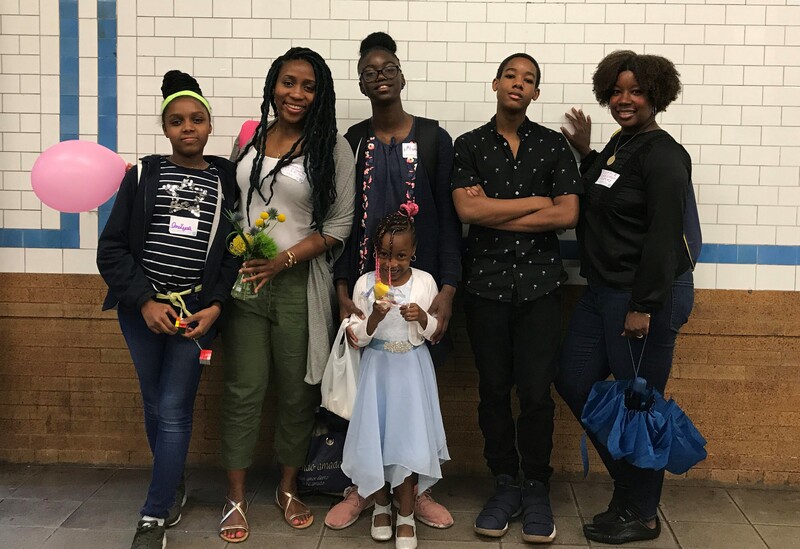 StuyPrep, currently in its third year, is a free SHSAT test-prep and mentoring program sponsored by the Alumni Association to help students in underrepresented neighborhoods of New York City gain admission to the specialized high schools. Making a commitment to diversity, the SHSAA has increased funding to provide the program to more students than ever before. When Kent Kim ’05 and Christina Alfonso ’01 first started the program in 2016, the inaugural class was composed of approximately 30 students from IS 392 in Brooklyn. This year, the program has expanded to 100+ students from seven middle schools throughout Brooklyn and Queens. The program structure has grown to include not only professional test-prep classes taught by Kaplan, but additional small group tutoring and supplementary classes taught by current Stuy students and alumni volunteers. One alumni volunteer, Ilya Tsinis ’05, teaches weekly classes at StuyPrep. Ilya’s passion for education started when he was a senior at Stuyvesant. As Math Team captain, he was given the life-changing opportunity to teach a class of 20+ freshman by legendary Math teacher, Mr. Richard Geller. One of Ilya’s most hard-working students, Orion Morgan, attributed his 40% improvement in practice exam test scores to many of the tools and strategies that he learned from StuyPrep and Ilya himself. Orion is an eighth grade student at Dock Street Middle School in District 13 in Brooklyn. We asked Orion’s mother, Cynthia McKnight, who is also the school’s PTA President, about the impact of StuyPrep on Dock School students. “The program has been phenomenal. I have seen tremendous growth in not only my son, but his classmates. The program has been a life saver for me and the families at our school since it is free. Over 80% of our eighth graders are from very low income families. This has removed a tremendous barrier to families who cannot the afford the cost of the expensive test prep programs, ” Ms. McKnight said. This year, StuyPrep was organized into two parts. 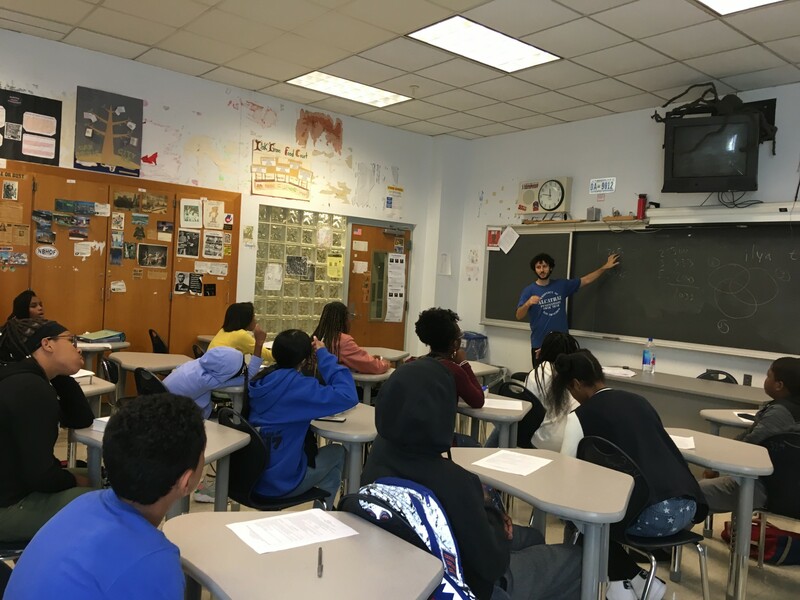 The first part was a Kaplan-led course held in the local neighborhoods of our StuyPrep students, where they were taught a SHSAT curriculum in a formal classroom setting. During the second part of the program, all 100+ StuyPrep students met at Stuyvesant to review the material in small groups led by current Stuyvesant students and alumni. Help us grow StuyPrep and change more students’ lives through the power of education.